I have crossed out the guilty man’s name whose tragic offence is reported of in this clipping from The Red Deer Express, May 23rd, 2007. Would we not like our name crossed out if the guilty party were us? Maybe we could bear to have our name broadcast above such a litany of crimes if only the charges did not include somewhere the words, causing death. Imagine the shocking realization of having just killed a man! Think about being suddenly hit with the knowledge of this irreversible fact! 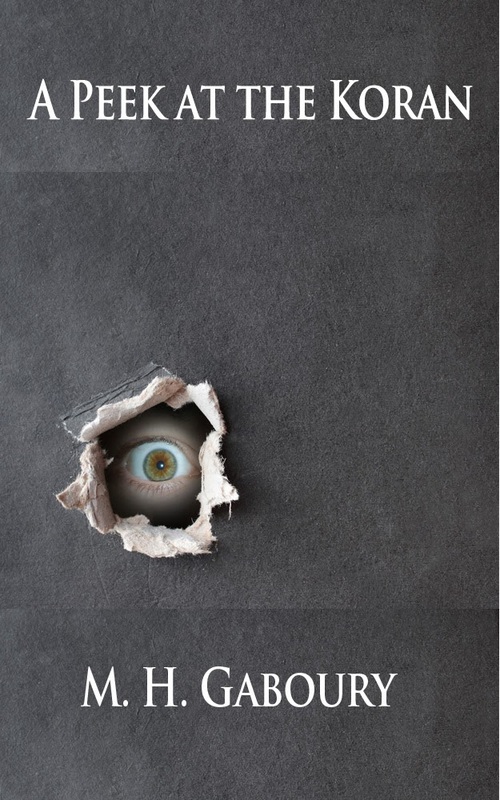 A man is minding his own business, only to get killed by your indulgence and negligence! 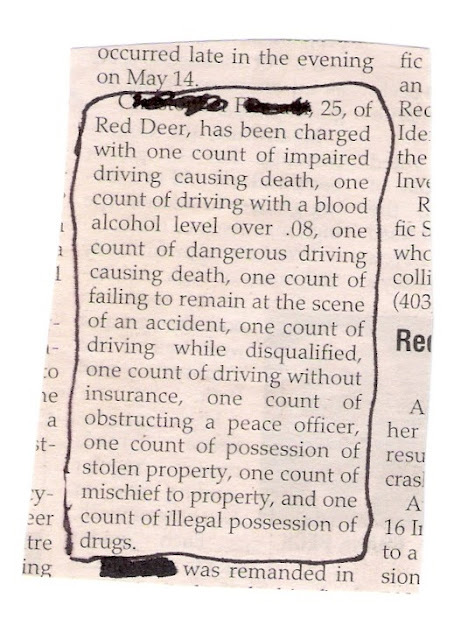 How many of us are guilty of the same crime of drinking and driving that took the life of Chi Luu of Red Deer? Was it our cleverness that saved us from killing? Our talent for driving while drunk? Not likely! We know deep down that we were just one factor removed from causing death. If the nite had been just a bit stormier, or our car just a bit clunkier, or the pavement just a bit slicker, then it would have been us! What will we do about this? Decide not to drive drunk anymore? I hope so. But the frightening thing is that even if we resolve not to drink and drive again, there is a point we reach in our drinking at which we lose our ability to judge and our fear of taking the risk. What then? Do we resolve never to get drunk? I hope so. But what if we are that type of person for whom ‘one drink is one too many and a thousand’s not enough’? Do we drink no more at all? I hope that’s what we do.